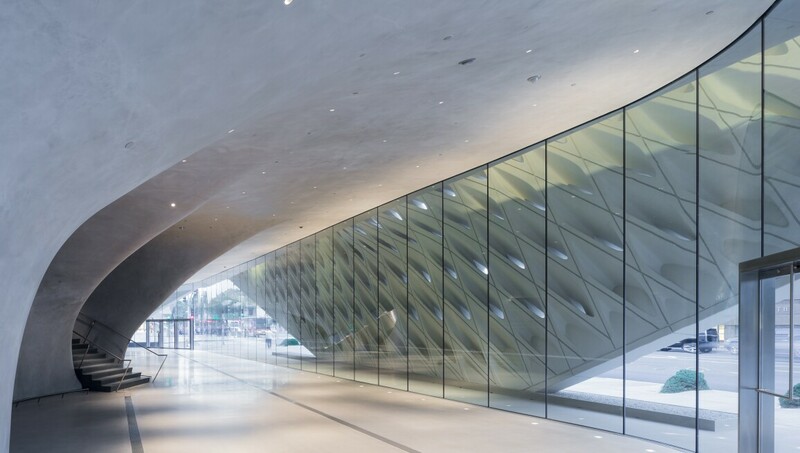 The Broad is a contemporary art museum founded by philanthropists Eli and Edythe Broad in 2015. Situated in Downtown LA, the museum is designed by Diller Scofidio + Renfro in collaboration with Gensler, and was dubbed ‘the veil and the vault’ for its merging of the museum’s two key programmes: a public exhibition space and the storage that supports The Broad Art Foundation’s extensive lending activities. The museum is home to the 2,000 works of art in the Broad collection, which is among the most prominent holdings of postwar and contemporary art worldwide.